Having lost the opening game last week against Watford, the youth team have travelled to South Wales and to the capital of Cardiff for a first ever away game in the U18 Professional Development League. We face a Cardiff City side who kicked off the season with a 2-2 draw last week at Hull and they will certainly provide stiff opposition again for what is likely to be another very young Burnley team. Only four second year scholars featured last week against Watford and with the under-23s in action on Monday, followed by the League Cup tie at Blackburn on Wednesday, it is very likely they will again be calling on some of the youth team players. Last week, central defenders Oliver Younger and Scott Wilson, along with winger Dwight McNeil, all travelled with and played for the under-23s at Crystal Palace and it would not be a surprise to see these players left out again for the under-23 game against Ipswich at Gawthorpe on Monday afternoon. The team for last Saturday’s 4-1 home defeat against Watford was: Adam Bruce, Dan Moss, Kwasinkosi Mpofu, Terry Mupariwa, James Clarke, Bobby Thomas, Tristan Jumeau, Ethan Kershaw, Kian Yari, Akim Samms, Michael Fowler. Subs: Marcel Wusiewicz, Dylan Meredith, Leighton Egan, Will Harris, Richard Taylor. Tomorrow’s game will be played at South Wales University Playing Fields and kicks off at 11 a.m. The player shown in the photograph is defender Dan Moss. 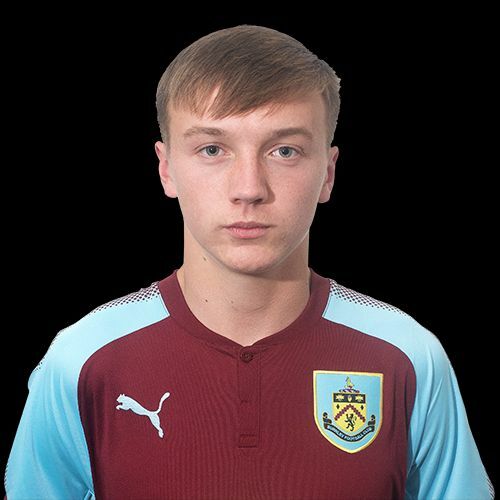 UPDATE: Burnley’s travelling squad, whic includes under-16 player Mitchell George is Adam Bruce, Leighton Egan, Kwasinkosi Mpofu, Ethan Kershaw, James Clarke, Dan Moss, Tristan Jumeau, Terry Mupariwa, Michael Fowler, Kian Yari, Dylon Meredith, Marcel Wusiewicz, Akim Samms, Bobby Thomas, Will Harris, Mitchell George.